So I am not going to lie, Phase 3 on the Fast Metabolism Diet is the easiest to cook for. You don't realize how much you rely on oil to cook with until you can't! So the minute Friday rolls around, it's like a party at our house. Well, sort of. There are still a lot more vegetables and healthy eating happening that my daughter is not that pleased about, so I don't know if she thinks phase 3 is a party. But I sure do! 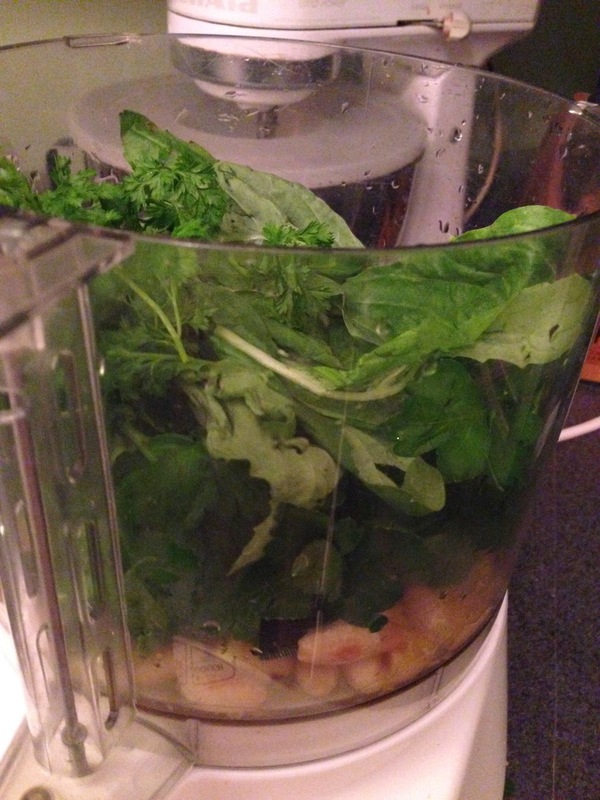 One of the things I love is pesto. 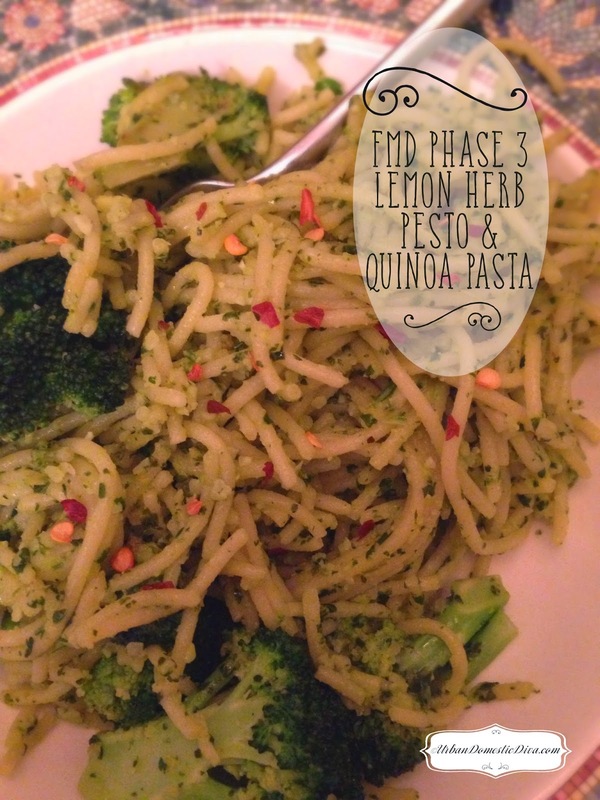 And because we can have olive oil in phase 3, I wanted to make a pesto with phase appropriate ingredients. Now I added a sprinkle of hot pepper flakes for my dish when serving, but I gave my family members a dollop of ricotta and parmesan cheese for their dishes. This made everyone as happy as possible. I mean, come on-dairy makes everyone happy. It's a very easy recipe adapted from The Power Foods cookbook. Fair warning, it's very "green" and herbal in flavor. My daughter was not a fan. Hubby and I liked it, but we like all things herbal. 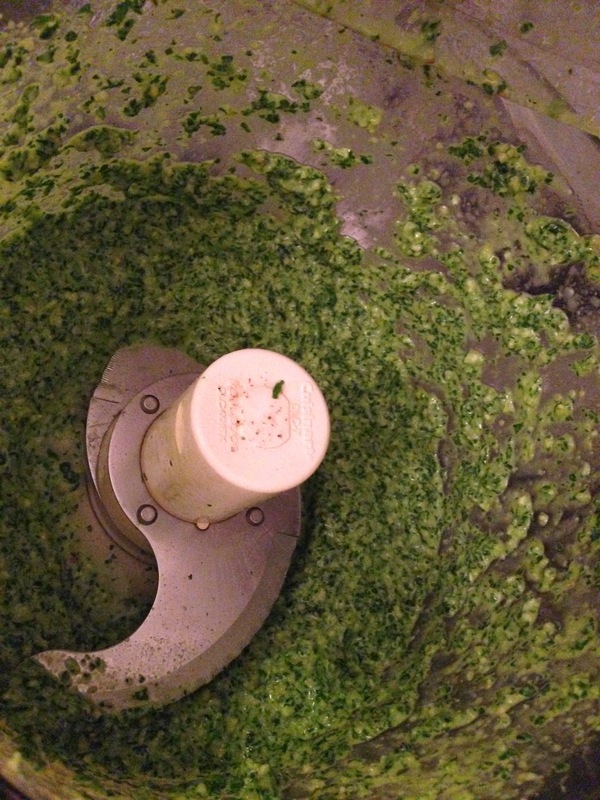 You can play with the pesto mix to take down the "green" flavor by weighing heavier on the basil versus parsley, and taking down the lemon juice. Here's to the phase 3 party! Bring a large pot of salted water to a boil. Cook pasta according to package directions. 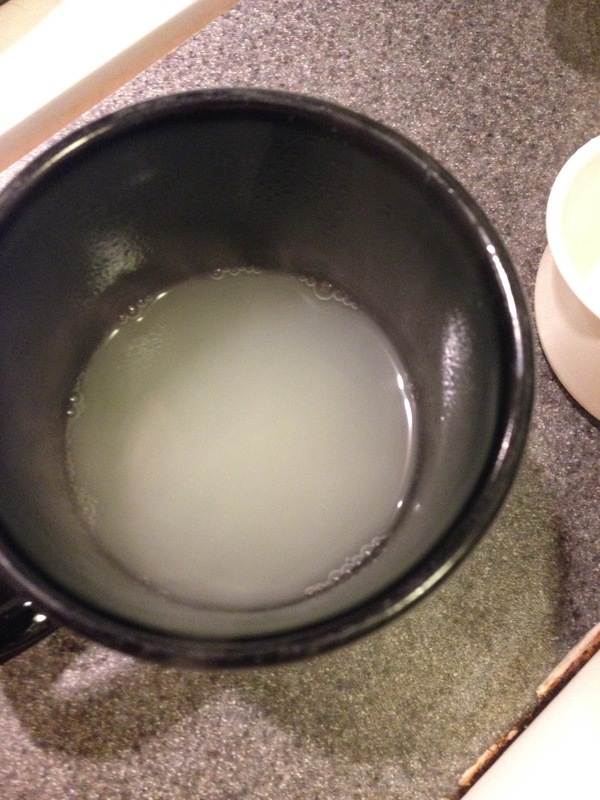 Before draining, pull out the 1/2 cup cooking water and set aside. Drain the pasta and set aside, keep warm. 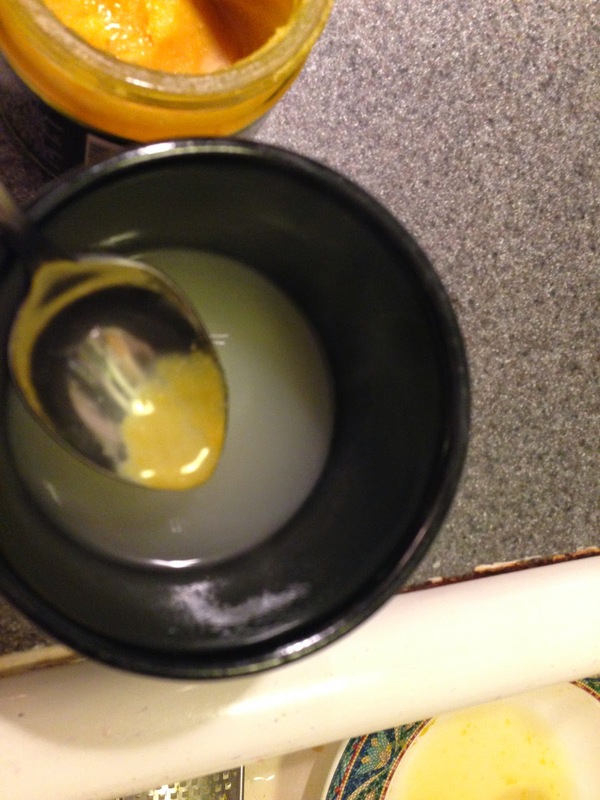 Dissolve the chicken bouillon in the cooking liquid. Set aside. 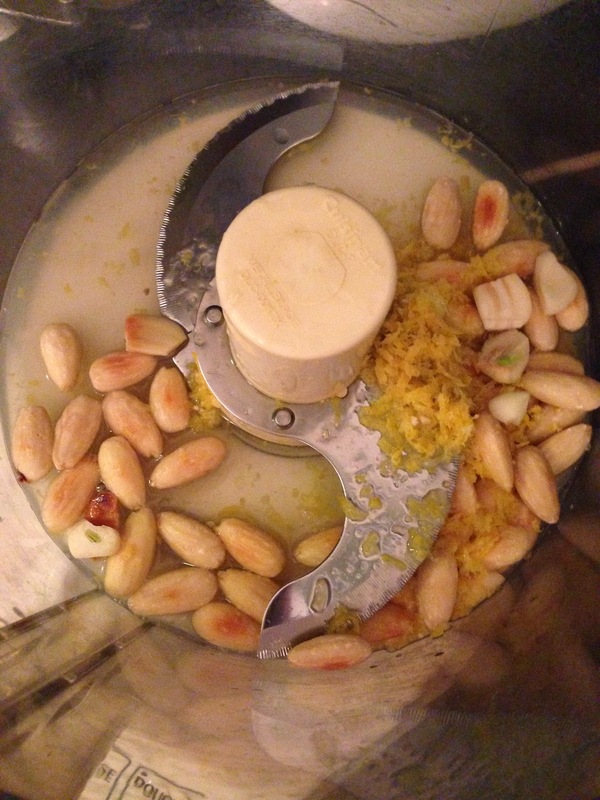 In a food processor, pulse almonds, lemon zest, lemon juice and garlic until finely ground. 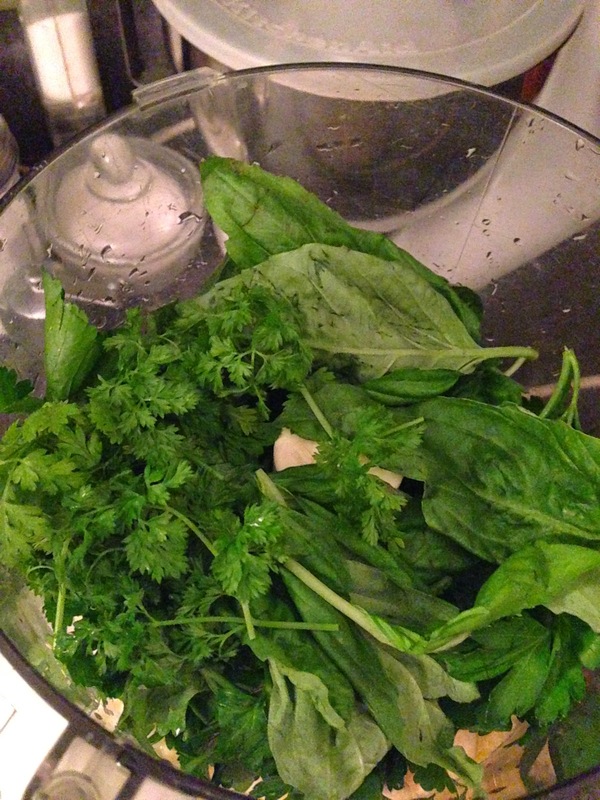 Add 1/2 teaspoon of sea salt with the parsley, basil and chervil. Pulse until finely chopped. While the machine is running, add 2 Tbsp. 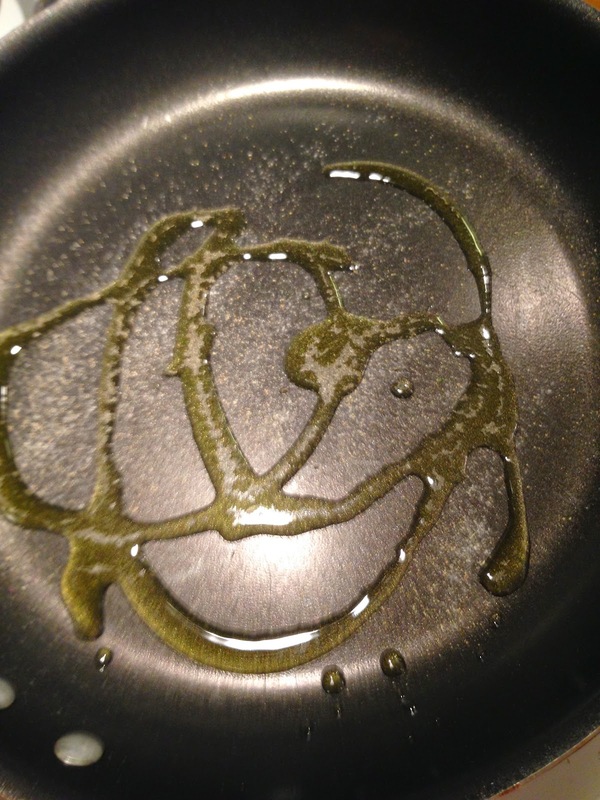 olive oil and the pasta water. Pulse until you have a well combined, creamy paste. Taste and adjust seasoning. Set aside. 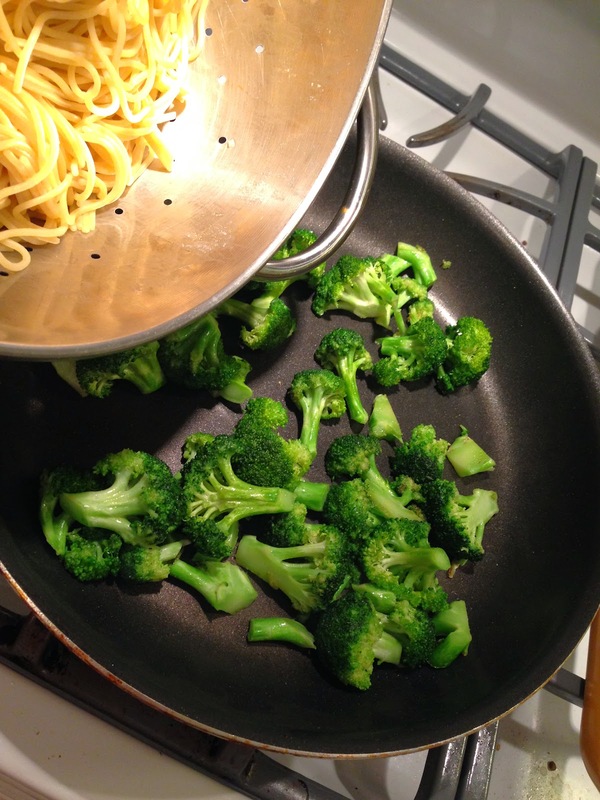 In a large, deep skillet heat 1-2 remaining tablespoons of olive oil on a high heat. 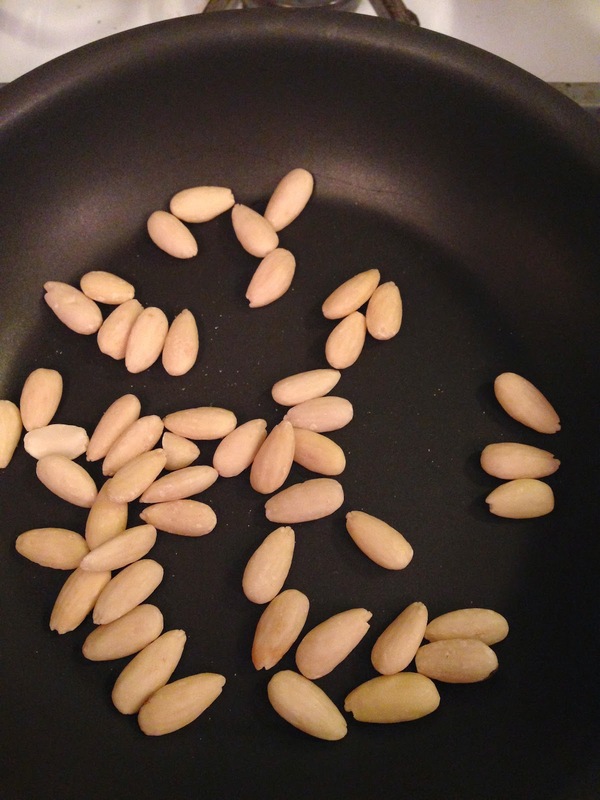 Add the sprinkle of garlic powder to the oil. 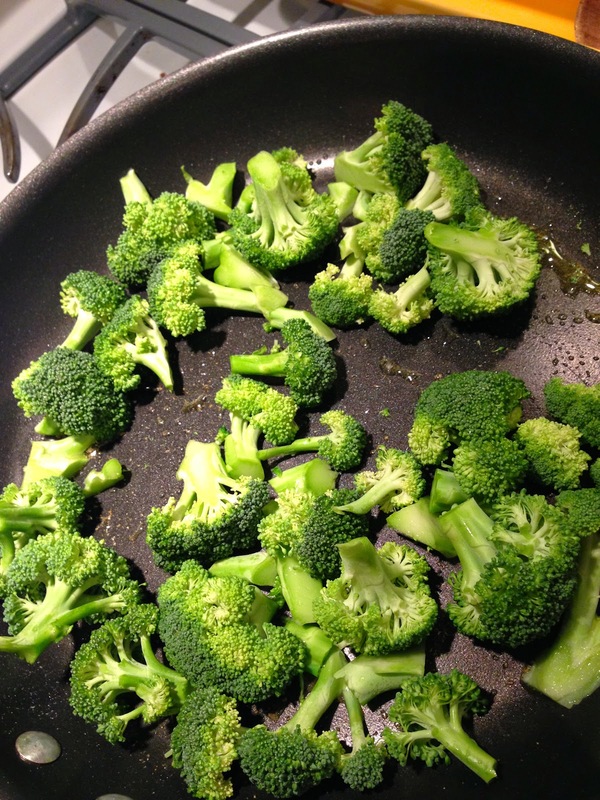 Add the broccoli to the hot pan and sear. 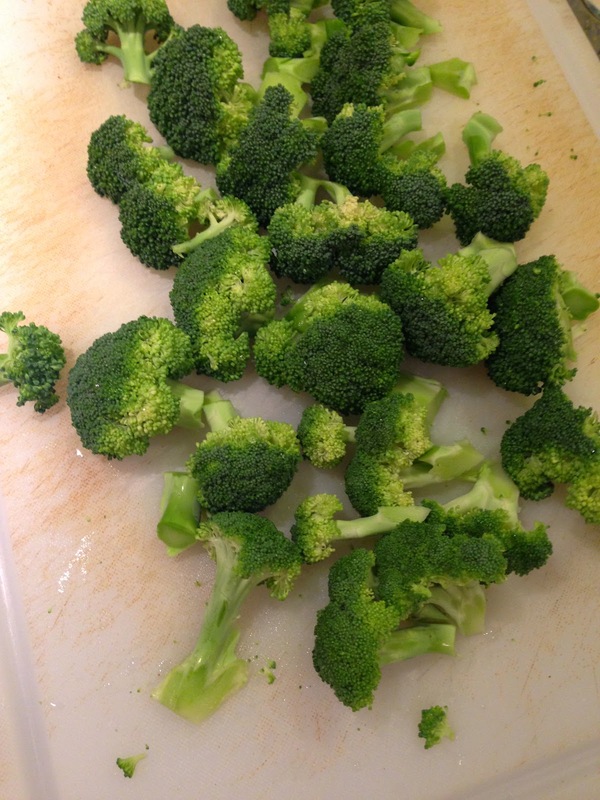 Continue to cook quickly until the florets have a nice golden color on some of their sides. Lower the heat and cook for a few more minutes until they get tender, tossing gently. 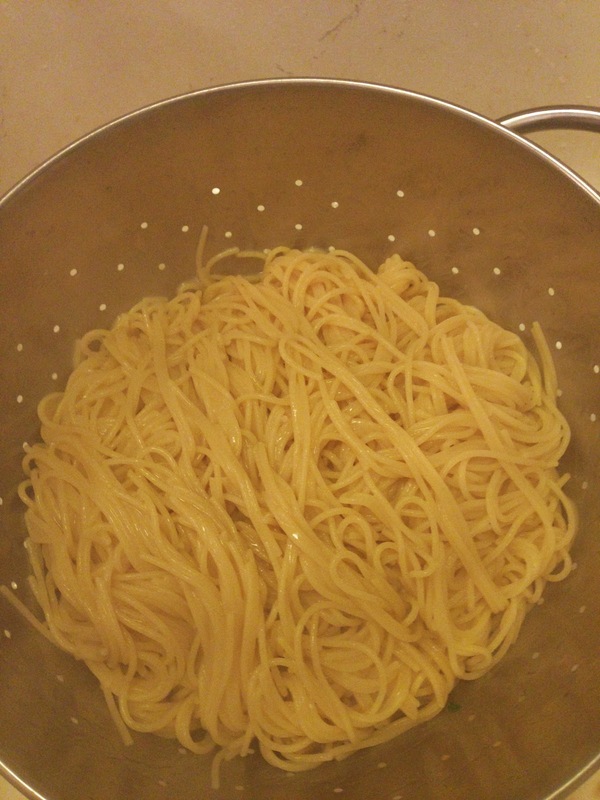 Add the pasta to toss. 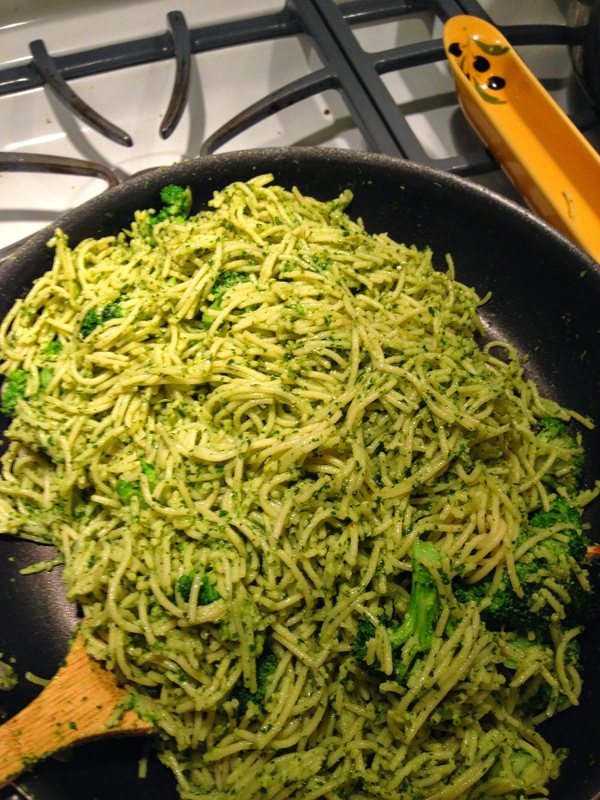 Then add the pesto and toss to coat. Serve hot with a dollop of ricotta cheese and parmesan for the non dieters. And for FMDers, add a sprinkle of hot red pepper flakes for a kick. ENTERTAINING: Valentine Christmas Party Mash Up!